From the thesis of architect and designer Gabriel Guerriero comes this beautiful Sankey diagram. Labels show quantitites but I have no information on the unit of measurement. 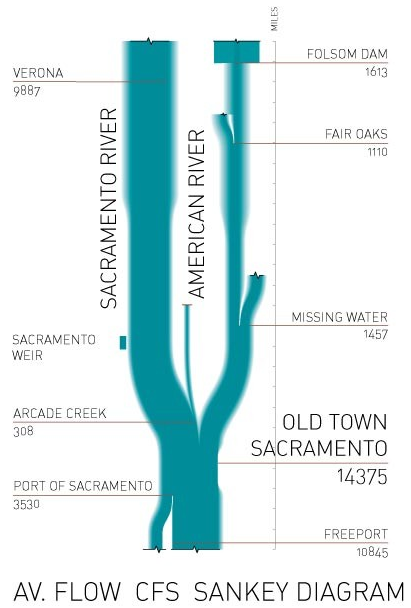 A similar diagram for the Colorado river catchement can be seen here. This is for the energy consumption in Alberta. Flows are in PJ (not sure which year they refer to). 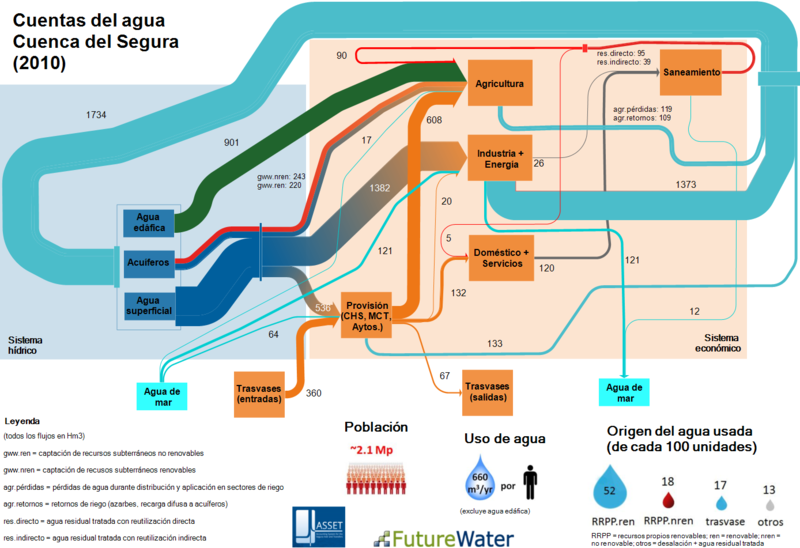 There are also several Sankey diagrams in this report for the water catchment areas of rivers (pp. 27-34). 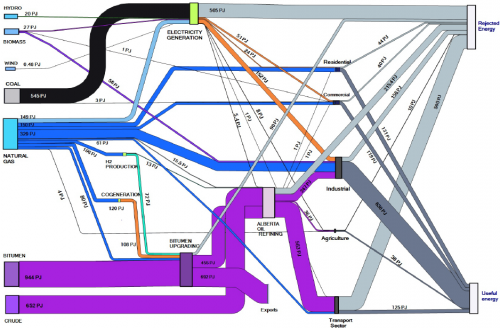 From Fei-Ling Tseng’s design blog comes this Sankey diagram. 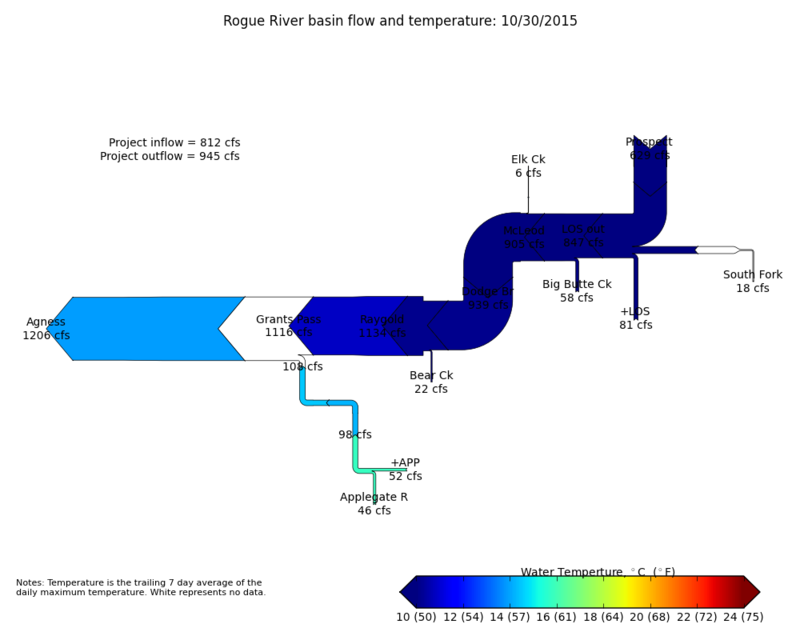 Her post is on some visualizations and infographics done for a project on water economies/ecologies of the Colorado River water system. 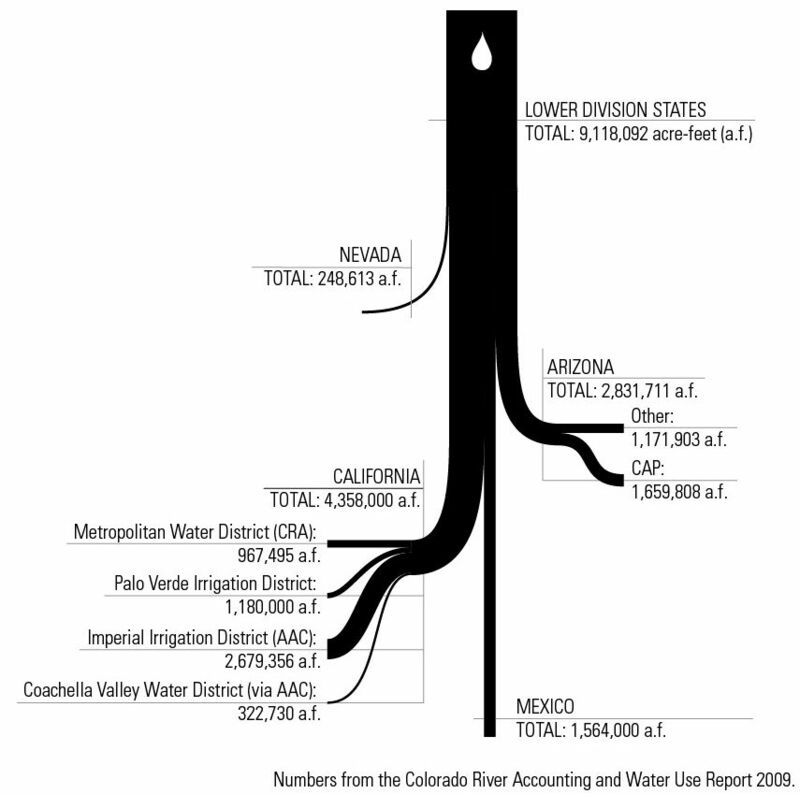 The diagram shows the distribution of water from the Colorado river to different lower basin states (Nevada, Arizona, California), “export” to Mexico and a breakdown to irrigation areas within California. The quantities are in acre feet (a.f.). Underlying data is from the Colorado River Accounting and Water Use Report 2009. Simple, beautiful, conveying the message … and a single white water-drop as catchy design element.